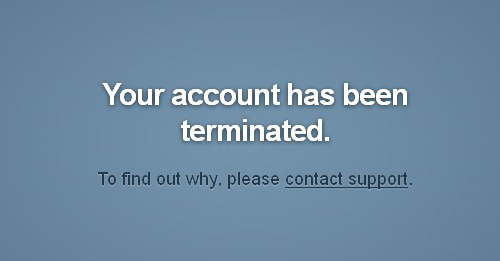 Hopefully you didn’t even notice I was gone, but two days ago Tumblr terminated my account, removing this blog and Shrapnel from the internet. I immediately contacted support as directed and heard back from them yesterday evening: my account had been closed for contravening Tumblr’s community guidelines in relation to spamming and affiliate marketing. I replied to make the point that at no point have I engaged in spamming or affiliate marketing, and apparently someone there agreed because I am now back online. The issue, as it turns out, was that my two Tumblr blogs were sending visitors back to jason.jnf.me (where I had a script that presented the blog content in a subfolder, integrating it into the site to a much greater degree than a separate domain would). In the short-term I’ve removed the redirect by simply resetting my blog’s theme to the default, and I’ll take some time on the weekend to restore the look and feel I had previously, and probably give each of them a custom subdomain. In the longer term, I think it’s time to start looking for an alternative blogging platform. When it seemed as though all the content I had on this blog had disappeared I was extremely disappointed. I run my own server, so I probably shouldn’t be relying on third-party services anyway. The obvious suggestion would be to install WordPress, and while that would work great for my blog content I think I’d have a hard time implementing some of the other site pages on that platform. What I want is a CMS (to give me the ability to quickly and easily manage and edit content) that lets me build custom bits and pieces (like my feed page) on top of it. 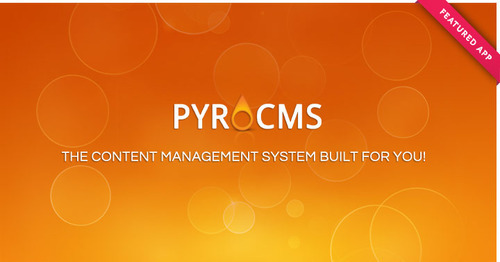 I’ve chosen PyroCMS. It’s built on the CodeIgniter framework that I’ve previously used which should make for relatively easy extensibility. It’s going to take me some time, but I’ve installed it on my development server to start getting my hands dirty. I’m just happy I’m back online and I don’t have to spend this weekend trying to rebuild.